Although the share of agriculture in world GDP continues to fall this trend masks the sectors importance, in large part because we have yet to develop a viable synthetic substitute for food. Synthetics have eroded agriculture’s share of industrial output such as fibre but bio-energy has potential once again to play an important role in energy security. And the world relies on an increasing supply of food to feed the world’s growing population. As the world’s population heads towards 10 billion or more a new set of challenges are emerging: food security; environmental sustainability; biodiversity; climate change; and now the growing incentive to switch from food to industrial crops for energy as oil prices move ever higher and regulations favoring renewable energy take effect. 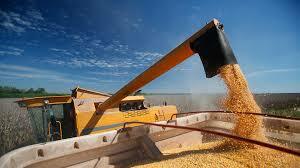 It all seems to foreshadow a jump in food prices, perhaps a permanent jump, if productivity is not improved.